4 vendors have this plant for sale.53 members have or want this plant for trade. While it's not fool-proof, just thought I'd share an idea that has helped me keep these great plants from spreading ... just bury them in pots. The variety I have is sterile so I don't have to worry about seeds, but I know from past experience that they also spread quickly and easily via runners (my apologies to whoever is stuck with them everywhere at our old house LOL). But this time I've had success planting them inside of pots with the rims 1-2 inches above the soil (then covered by mulch) and a 2-3 inch hole cut directly in the center of the bottom of each pot. The hole in the bottom directs more of the roots straight down, versus off to the side to develop runners. The top rim of the pot prevents any significant runners from shooting off to the sides, and makes it very easy to p... read moreull up any runners that may start to form ... among 8 separate plants that have been in the ground for over 2 years now, I've only had to pull up 1 small runner and it took no effort at all since it was only rooted into mulch over the rim of a pot I had put in a little too low. I'd love to hear how it works out for anyone else who tries this approach. 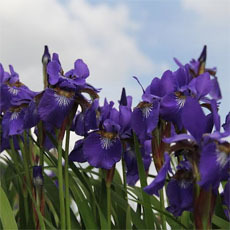 In 8b, evergreen perennial with attractive foliage and violet blooms, growing to 60". Once it is started, plan to like it because it is difficult to remove; must dig it up. This species both self-sows weedily and also spreads underground aggressively by rhizomes. The Florida Exotic Pest Plant Council has listed this species as a Category l invasive, because it has been found to invade natural areas and displace native flora. The species is native to Mexico, South America, and the Caribbean. It has naturalized from Texas to South Carolina. This plant can be invasive in nature. About 7 years ago I planted three clumps of the upright purple variety in an empty garden bed. Here in zone 8b, they are a perennial, dying to the ground after a hard freeze. For a few years, they stayed largely confined to the spots they were planted in, but the last few years they went out of control and were well on their way to overtaking the entire garden bed. It is even trying to grow out into the grass. Now for the things I like about this plant is that it has a tropical look, nice flowers, pest/disease free, doesn't get killed easily, robust, and dependable. Even though such vigorous plants can be annoying at times, the big plus is that they hardly ever suffer unsightly problems or need constant care. I think the b... read moreest place for this plant is if it is in a confined garden bed space where it can't spread beyond. Otherwise it may take over everything. Our plants are surrounded by at least 6 feet of concrete so spreading has not been much of a problem. However, the plants are very susceptible to scale, which has been a constant problem. We remove mature scale, spray, and use a systemic fertilizer but the scale persists. We had dwarf plants for a while but they became spindly and ragged looking so we took them out. It's also nearly impossible to get at the scale on the dwarf variety. If the blooms and foliage were not so lush and colorful, we'd take them all out. In the meantime, we will keep fighting the scale. I have nothing good to say about this plant except it's pretty. We had about 5 of these planted by Moon Valley Nurseries (prominent nursery in Phoenix area) w/o any warnings. In spite of freezes, two years later with a drip irrigation system, I think we could have won "The Most Verdant Yard in Arizona Award"
These things are bermuda grass in bush form, at least if supplied with water!!! They popped up everywhere & given a bit of time develop very thick and aggressive runners. It took me 3 years of chopping and continual spraying of Roundup to get rid of them. Good riddance. I would only recommend them if you've got a large property with room to roam or these things aren't watered and are surrounded with 6 feet of concrete in all directions. That's my story & I'm sti... read morecking to it! My friend gave me a bunch of the tall plants, and, yes, they DO multiply, which is good for me. The deer keep mine "pruned" so I seldom get to see the blooms. 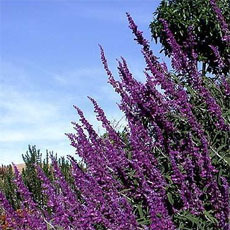 They bloom during the day, purple, long slender leaves with a purple stripe down the center. Leaves are about 3" long. Can this Mexican petunia hybridize a Canna? About two years after introducing one mexican petunia, my whole garden (approx. 14 x 30 feet) was full of the mexican petunia and I noticed for the past two year the Cannas have very spindly looking blooms. My uncle took cannas from me before my mexican petunia and his cannas look normal. I consider this to be one of the best perennial flowers in my garden. 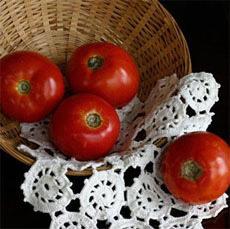 Most of the garden gets extremely hot in the summer, with withering bright sun. The soil is mostly sand, rather alkaline. The first ones we planted appeared to die after an exceptional (for this area) hard freeze. But they came back in the summer, even spreading a little bit from root suckers. I understand that they can be invasive in more hospitable settings, but in our garden, they spread so slowly -- a few inches per year -- that it won't be a problem. I hate to badmouth anything so dependable and beautiful, but it really can be invasive. We're finding it in Texas now well away from yards, and when it gets near a waterway, it can spread very rapidly. Please don't plant this. They ARE invasive, but the white & pink ones seem to be the least invasive, and they are beautiful. The purple ones grow in my yard, but are mowed or weedeated down, then they start blooming the same height as the grass. I love them anyway! Probably wouldn't be invasive at all in a cold climate. This is South TX where a lot of things try to take over the world! I have grown both the dwarf and tall forms of Ruellia brittoniana here in the Sonora Desert of southern Arizona. This is zone 9A. Drip irrigation is absolutely required here so invasiveness has not been a problem. I very much like the tall form. The dwarf form does not appeal to me because it appears messy and dirty once in bloom for a few weeks. This is because the spent blossoms collect on top of the plant. They are difficult to remove. These plants make a LOT of seed. They have the curious habit of when you water them or it rains, this triggers the seed pods to pop open. You can hear the clicking as you water. If you're standing close enough, the popped seeds will sting your bare leg as they hit, so powerful is the trigger. It's like they are shot from a sling shot. I think dealing with them is a lot like the sculptor who said, "you just chip away everything that does not look like a horse." With these, they are everywhere so you just pull up everything but the ones that are where you want them to be. They dont spread very fast at all underground here in Houston. They make neat clumps but the SEEDS, wow, that's another thing entirely. Planted this about 3 years ago, and it now is uncontrollable, even growing in my grass. I would highly recommend staying away from this plant. I have a tall, purple-flowered variety that does not set seed, and it is still pretty invasive. The tiniest piece of stem will root and grow a new plant, and the jumble of roots and trailing stems it forms underground make this impossible to tear out without missing pieces that will once again root and grow a new plant. It is pretty when contained, but it will otherwise spread and take over. Also, I can't believe they call these "Desert Petunia," because come wintertime (my dry season) these look like poo! They flower all year, and so will keep flowering just fine for me, but the foliage really suffers without regular water... and the last thing I need in my garden is a plant that spreads and grows like crazy and looks bad all winter. Terrible, terrible, terrible. Invasive. Can't kill. Vinegar, weed kill, nothing has worked. One inch of this plant in the ground is enough for it to survive. It will grow through the root systems of your trees, other plants and you will forever be seeing them pop up in your garden and in time they will start growing through your grass. I cringe at the site of this plant knowing of its invasive nature. Florida gardeners or anyone in a warm climate, stay away from this nuisance ground cover! I loved them at first, but five years later regret planting them and spend way too much of my gardening time yanking these things out! I strongly discourage using this plant. This plant has been a dependable bloomer dispite heat and drought. Every day there are new blossoms to replace the ones from the day before. It does spread but one must use a little common sense in choosing the right place for a plant. Although it is a beautiful plant, I wish the literature I read about it would have told me that it reseeds itself prolifically. I am a landscaper new to Florida and learning about the plants that grow here and trying to re-establish my business here from a move from Jacksonville, NC to the nature coast of Florida. I definitely will not use this plant in my designs. And, when customers want it in their beds, I will tell them that they will have a heck of a time taking care of and trying to control these plants. Our Ruellia brittoniana has been in the same location for three years, and it has not spread much at all. Our is of the larger, purple variety. It stands about 4 1/2 feet tall. It is an amazing plant, producing new blooms every day. Perhaps 8a is the perfect zone for growing it. We don't have to thin it, we don't have to contain it, we don't have to water it, and we don't worry about it. We just enjoy it ... a lot. I planted four 'Purple Showers' originally and through cuttings have appx. 2 dozen in different places, as backdrops, all over my garden. Great dark green foliage to front with color with deep purple flowers each morning. 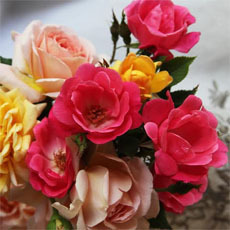 By evening all the days flowers have dropped with tomorrows flowers set and ready to open with the first hint of dawn. Fortunately, I was able to locate a 'Sterile-Non Invasive' variety for my original plantings so I'm not having the seeding problem some have experienced. I really enjoy the daily blooms, ease of rooting and low-no maintenance they offer. They seem to be tough little guys (3-4' mature) that LOVE the heat requiring only a brief watering when several days of 90+ temps causes a slight wilt to the top foliage. They also thrive in ANY of several unprepared s... read moreoil types found around my garden with only low monthly liquid feedings. Mine have been blooming continuosly for nearly a year now. Must be exhausting!! I LOVE them. This plant was listed on a xeriscape list for North Texas. I planted it in full sun and although it did grow, I rarely saw any flowers on it. It seems that the flowers would bloom and then fall off within a few hours. It also looked pretty pitiful, like it was dying for water. I would not suggest planting this in a xeriscape. My Mexican Petunias are the dwarf kind They make small clumps and do not reseed but come back from their roots. I have had mine for 4 years and they multiply very slowly. They make a good border plant because of the low small mound which is about 8". I live in East Tx. where it is muggy and rains a lot. Also they are growing in shade and part shade. Mex. Petunias don't start blooming until late July (maybe because they are in the shade). I have never had trouble with bugs or mildew. You do not have to do anything to them. They just grow. I got a sterile variety of purple ruellia, so it won't be invasive. The butterflies love the slightly sweet smelling beautiful flowers. The flowers fall on the ground and leave a purple carpet around the plant hence a common name of it "purple shower". My favorite thing about this plant is it brought back a colony of white peacock butterflies that got wiped out by last year's hurricanes. Apparently its leaves are a food source for the caterpillars. I love this plant's tall form, not the short mounding cultivars. It seems to me that the shorter ones are more invasive. I have both purple/blue and pink, and I too, have noticed that the pink makes all sorts of seeds, but the purple doesn't. I have a white form too, which seems to be right down the middle--it makes some seed, but not nearly as much as the pink. This plant needs SEVERE neglect to die, and even then you just can't be sure! As previously reported here, I have found this plant propagates easily from cuttings. I have successfully rooted new plants by just sticking the cut end of a pruned stalk into moist soil and letting it grow on its own. I find a few seedlings scattered around my yard that self-sowed, but not at all to the point that I would consider it invasive. I've had better luck with the taller variety than the dwarfs, but both do grow here in NE Fla. I use the tall variety at the back of borders. It is especially effective for me as a backdrop for my pink and white dianthus (carnations). It flowers more profusely in full sun, but will tolerate shade. I also had one plant of some species of the native Ruelia (check the DG plant files for "wild petunia" for examples), w... read moreith a nice blue flower, but I've lost track of where I transplanted it. This is a beautiful plant, flowering approximately 5 months of the year. However, it is highly invasive and babies pop up everywhere (including beds where they were not planted). It is a constant struggle trying to keep them from taking over. Britton's Wild Petunia or Mexican Bluebell (Ruellia tweediana or Ruellia brittoniana) is highly popular as a landscape plant or shrub/hedge in Florida, especially in central and southern Florida (zones 9a through 11). 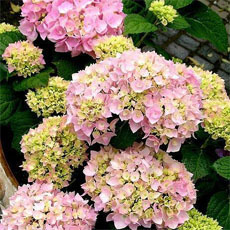 It is one of the most oftenly sold commercially at nurseries plant in central and southern Florida. It thrives in zones 8a through 11 and can survive mild (possibly moderate) freezes. It is valued highly for it's attractive purple or purple-violet to pink-purple flowers. However, it is famous for it's invasiveness in the landscape and was recently added to the Florida Exotic Pest Plant Council's Pest Plant List Category One (FLEPPC), since it is invading wild natural areas from the landscape. It can be difficult to eradicate. Also, during the first month of planting, it is vu... read morelnerable to pests and often dies. Once established, however, it can be hard to get rid of. However, many homeowners and buyers and nurseries continue to sell this perennial (may be an annual in zone 8a) in the Deep South of the United States. It loves full sun or shade. It is an upright shrub/perennial with herbaceous leaves. 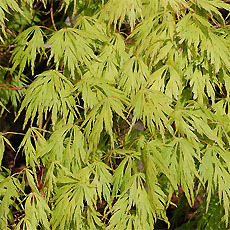 The leaves are thin and pointed. Native to Tropical America this plant has become popular in Florida landscapes. It readily escapes cultivation and is becoming increasingly frequent in the Everglades region, outcompeting native flora. I have the taller pink variety of Mexican petunia. I love it! It looks different then my sisters purple wild variety. Hers are pretty but they over run her yard. I like the look of the foliage on mine better. It gets about 24" tall and has stems that resemble skinny bamboo type canes. It looks like a tropical plant. I have it in Pink and it hasn't gotten invasive so far and I had it four years.. I got about six little plantlets from it in four years. And 13 plants I took from cuttings.I could have had more if I'd wanted. This early summer I got Katies Dwarfs in three colors. I don't know if they will be invasive or not. I've read conflicting views. Some say the Dwarfs take over and some say they behave in their gardens. I'll find out soon I guess. If anyone has it in that variety and colors that I am looking for, and would like to trade for some of my seeds. Of cuttings I have Katie's Dwarf in three colors and the taller pink Mexican Petunias "Chi,Chi" ( the kind with the cane stems) and night blooming jasmine cuttings. This plant grows beautifully in the Lubbock area. It self sows readily, filling in bare spots and has constant blooms. I can see where it would be invasive for other type os beds, but it works fine for me. Reminds me of oleander foliage. The moneywort I have growing underneath seems to like the company. VERY INVASIVE. Good choice if you want to fill a bare area quickly, but be ready to pull seedlings daily, and I mean daily. This is a very nice plant - I grow it in pots, so I avoid the invasive properties. They are not hardy in my area, so I bring them into a greenhouse for the winter. I have both blue/purple and pink (I prefer the pink) currently in 6" pots. I wonder if they will outgrow the pots . . . does anyone know the ultimate pot size for these plants? Invasive in the right conditions. I moved mine to an area in which they receive part shade (instead of full sun) to help control spreading. author - june My blue ruella are great but right now they are struggling to flower. They were planted by nursery last Sept. 2003. They were amazing. I have just watered when weather is hot and dry. Hope they bloom soon as some nearby gardens are in bloom early morn. I have both, the dwarf and the adult variety. Dwarf - Scale of 1-10 with 10 being the most invasive, I would rate it as a 9.0. What is scary is that birds/wind/boogie man carries the seeds to the outdoor container plants as well. The one thing that they seem to adore is excess water or over watering. I noted that in summer due to our drought conditions,their growth rate was stunted and their self propagation was insignificant. Adult - this one (so far) has not shown similar aggressiveness as the dwarf. I rate it a 4. These plants bloom in the afternoon and lose the flowers the next day... kind of like a Four O'Clock. So I mix them with Four O'Clocks. The foliage looks like an oleander and they mix well with dwarf Oleanders and look great together. I just planted mine in August. I thought it would not bloom until the following spring or summer, but after the shock of being transplanted was over it has started blooming for me. Mine is three feet already, and I know that they will be invasive but eventually they will start clumping together. I live in Dallas, Texas (U.S.); although our summers are fierce, this plant seems to thrive with total neglect. The top image by FlowerManiac is the dwarf variety which is not invasive. See the description of Mexican petunias named "Bonita" and "Katie" in the database. I'm in Houston and it's as invasive as the orange Trumpet Vine (Campsis radicans) It travels by seeds and runners and breaks off when pulled. I have seen it sheared into a hedge and that was attractive but I know they have to constantly work on keeping in line. Ruellia cultivar 'Katie' is much better behaved. Everyone who says this plant is invasive in Florida is right, but no more so than the native beautyberry or saw palmetto. And it can be a nusiance if you're into no-maintenance gardening. But it's also very pretty, especially when planted in beds of allamandas and jatrophas--a fantastic color combination that has, on two or three occasions, actually stopped traffic. 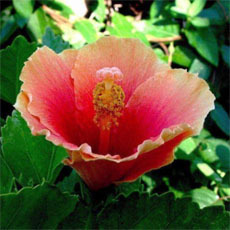 It also provides a colorful understory for mature shrubs with ugly legs, such as older hibiscus plantings. Finally, it is a terrific cut flower. The stems will bloom as long as they have buds, and then the stems will root in the water and you'll have plants to give away. Here in Florida, "Mexican Petunias" are considered a category 1 invasive species. Ruellias are pretty but they are invasive and they also possess the power to displace and hybridize with native foliage. 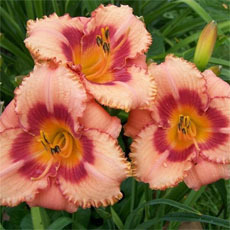 If I had to have one, I would stick with the dwarf variety because it clumps and maintains a fuller, nicer shape. It doesn't reseed everywhere like the taller variety other. This is only my second year to garden, so I have only learned about this plant when I received it as a bonus in a trade. I love purple flowers anyway, but this one... OH MY! I LOVE how it blooms daily for me! And in the heat of a Texas summer!! What a JOY! I will NOT be without this plant in the future. I can hardly wait to see more and more of it in my garden. Like someone else said, I think I might have a slightly different variety since mine seems to be taller than the others, with narrower, less sparse leaves. I can't wait to try rooting cuttings of this one to share with others! This plant is the easiest of the easiest to care for. I took a cutting from our other house and moved it when we moved to our new house with wonderful results! I have the pink and the purple. Yesterday I found a little one coming up across my yard - nature just amazes me! I use my Ruellia like Lirope (Monkey grass) to outline my flower beds. When they get too bushy, I thin them out and plant in other areas of our yard. Wonderful show when they bloom! This plant is VERY INVASIVE. When watered or rained upon it shoots seeds all over the garden. Has a deep root system and can not be easily pulled out. I have a beautiful golden barrel cactus that has this plant growing up and around the spines. My husband likes it for the color and foliage. I dig it up whenever I can. The only way to control it is to spray a pre-emergent so that the seeds do not germinate. Ruellia grows anywhere and everywhere I don't want it to - in my yard, the seedlings grow fast and will take over my daylily beds if I let them. I have both the tall and the short ones. The tall ones are all around my yard in purple, and can be invasive, but that's OK with me; we just mow around the edges. I also have some white ones, but they are not as prolific as the purple--I encourage them. In the short ones I have purple, white and pink all mixed up in one flower bed. They are somewhat brittle, so when pieces are broken, I root them in water, then plant them somewhere else. I really appreciate flowering plants that don't need to be pampered! 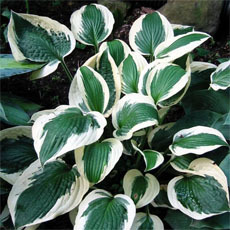 This plant is excellent in areas where height and color is needed. I have mine now for two years and they are spreading throughout my front garden (western exposure; afternoon sun). I've never had seed pods on mine, however, knowing that they will come back in the spring, is my solace. I just purchased them in the color pink and she is doing very well on the opposite side of the house (eastern exposure; morning sun). Hummingbirds will also visit this plant! There seem to be two plants called Florida Bluebell. That which interests me grows profusely in the Florida Keys. It propagates by pushing up its own shoots from the ground surrounding itself. Its one remarkable feature is that it blooms during the night EVERY night and sheds its blooms at around 4.00 pm EVERY day. Blooms are small but profuse and come in light and dark blues and dark pinks . I am not a knowledgable gardener but have tried a few shoots in southern England with no sucess ; even indoors in England it flourishes greenery but never a flower in sight. In the Florida Keys it just looks after itself but appreciates watering in dry spells. Mexican Petunias are one of the easiest plants to grow that I have planted. I saw some purple flowering ones along a busy street and immediatley went to the local Target to buy some. You can almost ignore these plants. I added the pink flowering kind a year later. Both of these are prolific bloomers. I have not seen a single seed on the purple flowering one, but the pink flowering one is full of them. I propagate the purple kind by cuttings, usually with a rooting agent, but they will take root without it. I haven't lost a cutting yet. I started with two plants and now I have about two dozen. These are very drought tolerant. They do occasionally get a little bit wilty in the worst of the heat, but just a little bit of water brings them back almost befo... read morere your eyes. We live in zone 7, in the desert southwest and sometimes have 100+ degree weather during the summer; our winters usually do not get below 20 degrees. Heat does not bother the Mexican Petunia. We have hard desert alkaline soil. We do not improve the soil or mulch for these plants. They are hardy. They can take direct sun or morning sun/afternoon shade. We water daily when the temps get into the 90's. The plants bloom all season (from June sometimes through Sept. in our area.) They drop their flowers daily and they reseed. The seeds can be planted in the fall or in early spring. Mexican Petunias grow pods that burst open, scattering seeds in all directions. Collect seeds only when pods turn black but before they burst. The heat from your h... read moreands will cause them to break open. I have been searching nurseries and websites for a source of Mexican Petunia seeds for about two years now, plus I have sent out emails asking for sources, but there does not seem to be a source for these seeds as of yet. These plants can be transplanted easily. Pinching makes them bush out and look better.